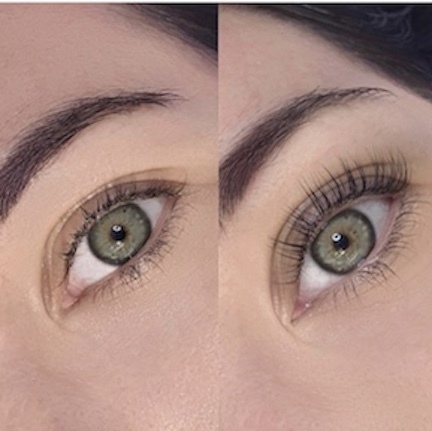 EYELASH LIFTING - $85.00 The Lash Lift is the beauty equivalent of a push-up bra for your lashes- the treatment instantly gives them, lift, separation, and added definition without the use of extensions or any harmful chemicals. The in- salon treatment leaves your lashes lifted and curled without the need of a lash curler, just wake up and go. EYELASH TINTING - $25.00 Eyelash tinting temporarily dyes the eyelashes. This is done to achieve the look of wearing mascara without having to apply makeup daily.